More often than not, individuals and companies act in a way that inflicts harm to your environment. When there is damage inflicted on the environment, innocent citizens are the ones who bear the cost. Certain policies and statutes are in place to safeguard against dangerous environmental practices. As an aggrieved individual, you can use these laws as a basis for taking action against individuals and companies that engage in environmental practices that harm the ecosystem or affect your health. The law is very clear on the expected conduct in relation to chemicals and toxic substances. The Toxic Substances Control Act that governs the manufacture and use of toxic substance requires that such substances should undergo testing and proper notification issued when a harmful chemical substance is used in a manufacturing process. Further, under the same Act, companies that use chemical substances should keep records of such use and to dispose of the toxic substances in a regulated and safe way. Under these circumstances, you could file a lawsuit. Lack of money to hire a lawyer should not deter you as there are many lawsuit funding companies willing to fund your case. Introduction of a hazardous substance into your environment that you were exposed to- the defendant must have acted wrongfully or failed to take steps to prevent the occurrence of the pollution. Your lawyer should be able to prove that the defendant disobeyed EPA regulations or did not act in accordance with stipulations of permits. If negligence is evident, you will receive a settlement amount. Nuisance is about your comforts and conveniences. It centers on your inability to use your property due to pollution or a disruption in your routine. Chemical waste could seep into your soil and prevent you from using your vegetable garden. A manufacturing plant near you could be releasing sulphur dioxide into the air hence preventing you and your family from enjoying a day in the yard. Such pollutants greatly affect your ability to enjoy your property and you need to hold the defendants accountable. Exposure to pollutants has led to injuries, health issues and disabilities. There could be grounds for emotional injury as well. If your attorney is conversant with how emotional injury ties into environmental law, he or she can create a solid case. 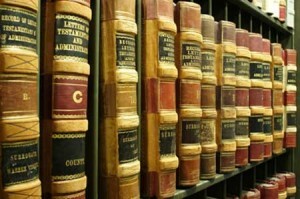 Your lawyer has to prove effectively that the burden of liability should lie with the company. For instance, if you live in an area whose water has had contamination, your lawyer needs to establish a pattern of increased illnesses. Eco lawsuits are important in that they teach companies that they are just as vulnerable as individuals. There is increased need for more protection of the ecosystem and this protection comes in the form of a lawsuit. If you are affected, get a suitable lawyer and make your case in court.